There is a special opinion, which the Talmud quotes in Tractate Bava Batra 14b: “Who wrote the Scriptures? – Moses wrote his own book and the portion of Bilaam.” If we start counting according to this opinion, the five books of the Torah are actually seven: Bereshit, Shemot, Vaikra, Bamidbar chapters 1-21, the story of Bilaam which the Torah records in Bamidbar chapters 22-24, Bamidbar chapters 25 to its end, and Devarim. The story of Bilaam makes the bulk of this week’s Torah portion, Parashat Balak. The tale of Bilaam (or Balaam, as tradition sometimes calls him) is one of those intriguing passages of the Torah that appear simple and straightforward on the surface, yet are complex when studied in detail. There is prose and poetry in the story. There is prophesy and the expectation of magic. There is money involved, and glory, and disappointment. We even make acquaintance with a talking donkey, able to see what people cannot. But when we look closely at the details of the story, a whole new world of inferences, symbols and peculiar connections opens before our very eyes… Let’s explore it together! 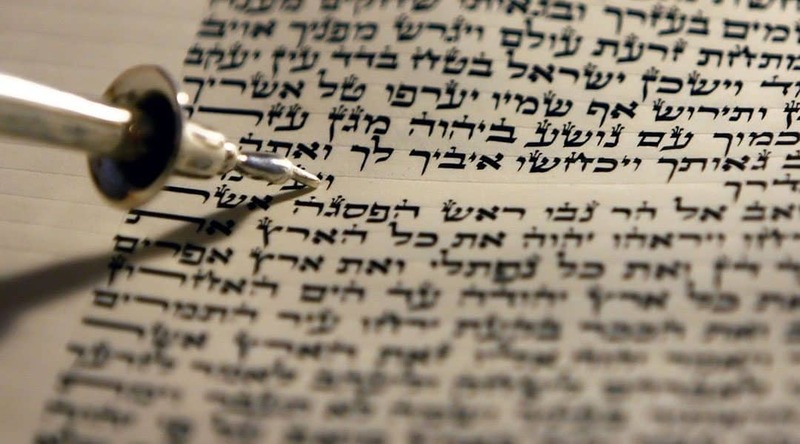 The first is the connection – or, better said, connections in the plural – which the Torah makes with the Book of Genesis. Although it is placed in the midst of the Book of Bamidbar, the story of Bilaam abounds in Bereshit references. For example, Bilaam tries to be like Abraham, and the Torah uses the same language as in the story of the Binding of Isaac: “Vaiakom Bilaam baboker va’yachvosh et atono” – “Balaam arose early in the morning and saddled his donkey.” (22:21). Also, the talking donkey of our parasha constitutes the second and only other instance in the Torah of an animal speaking, the first instance being when the serpent addresses Eve in the Garden of Eden (Genesis 3:1). In all these cases, this question is only the trigger, and the continuation is always the same: exile. With Adam and Eve, G-d is about to punish them with exile from the Garden of Eden for having eaten of the Tree of Knowledge. With Cain and Abel, we are about to discover Cain’s punishment of exile for having murdered his brother Abel. With Abraham and Sarah, we are about to discover G-d’s promise to bring about the birth of Yitzchak (Isaac), which – following the opinion of many commentators – marks the beginning of the 400 years of exile for Abraham and his descendants in a “land not their own”, according to G-d’s promise in Genesis 15:13. Here too, in our parasha, Bilaam is about to undergo a deep and painful personal exile. First, we are told of high expectations, as King Balak tells Bilaam through his emissaries: “I know that he whom you bless is indeed blessed, and he whom you curse is cursed” (22:6). We learn about the wealth and honor being promised, presumably accompanied in Bilaam’s mind by a high status and a luxurious life at Balak’s court. Of course, if it were only for the personal exile, the story of Bilaam might not have been as interesting… But the four oracles in the story, the four instances in which the Torah switches from prose to poetry in a mixture of reality and fortune-telling, take matters one level higher. The prophecies here contain references to the entire history of the Jewish nation. Bilaam talks about the promises G-d made to Jacob, about the Exodus from Egypt, about the forty years in the desert, about the battles G-d fought with Israel’s enemies of their behalf and – even more interesting – makes mention of Israel’s ultimate future. Multiple interpretations were offered for these verses. They vary based on the commentator, the historical period of the commentary, as well as the focus of the interpretation. For example, Ibn Ezra and others see in the verse “A star rises from Jacob” a reference to King David and his royal dynasty. Onkelos (the famous translation of the Torah into Aramaic), as well as Ramban (Nachmanides) see here a prophecy about the arrival of not only David, but also – from his lineage – the Mashiach, marking what we pray for every day: the establishment of G-d’s Kingdom in Israel and the whole world. The Midrash on Megillat Eicha – the famous Lamentation of the prophet Yeremiahu (Jeremiah) which we will read in only a few weeks on Tisha Be’Av – takes the verse in our parasha to mean a reference made by Rabbi Akiva to the rebellion of Bar Kochba, in the time of the Romans. In other words, a verse about three important concepts: the role of royalty, our quest to fight oppression and tyranny, and G-d’s ultimate redemption, the Messianic Era. With Amalek, the message is even easier to recognize. Throughout the books of Exodus and Deuteronomy, on multiple occasions, the Torah reminds us of Amalek’s evil and commands us to wipe out its memory and legacy, for “attacking the weak at the end of the convoy” and for “not fearing G-d”. Edom, Seir and Ir are all – in the interpretation of Rashi and the Midrash – a symbol of Rome, the culture that always valued idolatry and promiscuity over monotheism and chastity. And Ashur (Assyria), the Kenites, the Kittites and Eber are all symbols of Israel’s enemies in the times before entering the Land of Israel under the leadership of Joshua. They are the nations that stood against – in the most literal manner – G-d’s plan of giving the Promised Land to the Jewish nation. About all these nations, Bilaam’s prophecy declares that their ultimate fate is to fall before the Jews. In essence, the prophecy is the history of the Jewish people, intertwined with their destiny as G-d’s chosen people, “a kingdom of priests and a holy nation.” Israel’s destiny – in the hands of G-d as opposed to the hands of mortal kings – transpires in this prophecy as one of fulfillment and endurance. We cannot thus be surprised that the two chapters of our week’s parasha have been imagined by the Talmud as a standalone book of the Torah. A summary of our history and destiny, a story of action and faith, of symbolism and connections, of promises and deceptions… A story of G-d’s ultimate goal: rebalancing the world through diminishing and rebuking of evil, corroborated with uplifting and encouraging the good, the spirituality, the morality and the strong attachment – both as individuals and as a nation – to G-d’s message for all humankind.